Pokemon Go is having a crossover with the Pokemon anime for this year's April Fool's Day gag. Players are reporting that Ash Ketchum is appearing inside Pokemon Go by photobombing players when they use their GO Snapshot feature. The GO Snapshot allows players to take photos of Pokemon they've captured in the real world by using a player's phone camera along with the game's AR technology. While the GO Snapshot features occasionally features a Smeargle photobomb, Ash Ketchum is now appearing in front of Pokemon, wearing his classic hat and original Pokemon anime outfit. 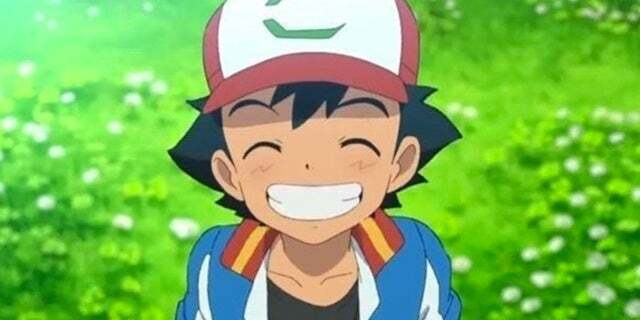 Ash won't appear in Pokemon Go until midnight local time, so players in the US or Europe will not be able to see Ash until tomorrow. In order to find Ash, players just need to use their GO Snapshot to take a few pictures of their Pokemon, and then check the photos to see if Ash has photobombed them. last, but the Pokemon anime in Japan hinted that the next episode's news feature will mention the Pokemon Go tie-in in some way. We'll report more on this surprise Pokemon Go event as we learn more. Star Wars: Episode IX Avengers: Endgame opening early and more! Make sure to subscribe now and never miss an episode!